Wow @ksosk!!!! Now It's also time to produce a proper plastic protector case for this release! I will count on it !!!!! YEAH!!! 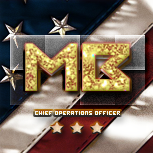 Thank you @ksosk, @Masterblaster and MP staff all, this is Just going to be the most Amazing GB ever!! !